Our most popular grass hay—with high fiber, low protein and low calcium? content—is widely recommended by veterinarians. 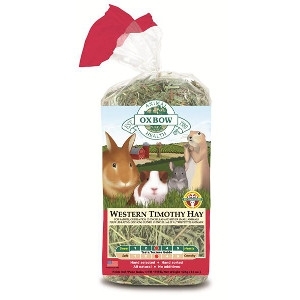 Oxbow® Animal Health was the first pet food company to introduce timothy hay as a staple in the small animal diet.? It is now an industry standard.